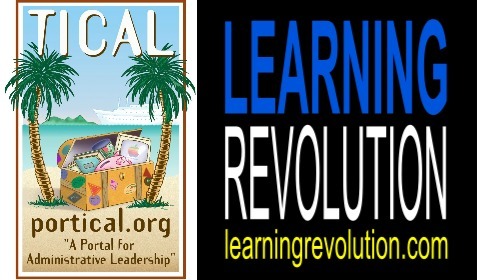 TICAL and the Learning Revolution Project invite you to join us for our annual School Leadership Summit, held online, and this year focused on the pillars of the U.S. Department of Education's Future Ready Pledge. The Pledge is a commitment by district leaders to work with educators, families, and community members to make all schools in their districts Future Ready: setting a vision and creating the environment where educators and students access the tools, content, and expertise necessary to thrive in a connected world. The following partner organizations have helped us to build a great program: AASA, the Alliance for Excellent Education, Arkansas Association of Educational Administrators, Association of California School Administrators, CETPA, Common Sense Media, CoSN, CUE, ISTE, and SETDA. We have organized a truly amazing schedule and lineup of speakers for you, including: Rowland Baker, Andrea Bennett, Bob Blackney, Susan Brooks-Young, Kyle Brumbaugh, Jon Corripo, Rafranz Davis, Harry Dickens, Dr. Lisa Gonzales, Karen Goss, Matt Harris, Renee Jackson, Keith Krueger, Mike Lawrence, Brian Lewis, George Lieux, Nancy Mangum, Jeff Mao, Joe Mazza, Tom Murray, Kecia Ray, Dr. Luis Rodriguez-Cazares, Joe Sanfelippo, Andrew Schwab, Tony Sinanis, Peter Skibitzki, Dr. Gabe Soumakian, Katrina Stevens, Dr. Beth Stewart, Dr. Devin Vodicka, and Mary Ann Wolf. The fun starts at 8:00am Pacific / 11:00am Eastern on Wednesday, June 24th. 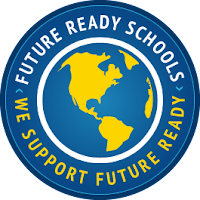 The full schedule is at http://www.futureready.education/schedule.html, and you do need to register to watch the event live or to see the recordings (which will be available within a day).